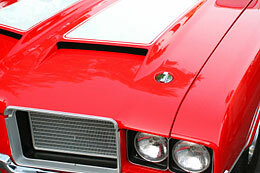 A classic or special interest car is the product of all its previous owners. Knowing its current condition in detail gives information that you can use to assess its value to you and your future probable maintenance costs. We recommend a two stage inspection process: Mechanical Inspection and Visual Inspection. The priority will depend on the nature of the car and its available history from the current seller. A professional inspection by a specialist mechanic in this make and model is an excellent way to learn what the car needs today and what to expect in the near future. We do not perform a mechanical inspection or provide an official assement of mechanical condition. If a professional mechanical inspection of the vehicle is required we recommend you hire a professional mechanic close to the location of the vehicle. This mechanical shop will have to be an acceptable vendor to the seller as well. An inspection by our appraiser will inform you of its current overall condition and give you perspective on current market value. Our pre-purchase inspection brings to the process a second and possibly a third pair of eyes that are backed up with years of experience in looking at and assessing cars. You won’t believe the number of times that we have been told that clients wished that they had hired us before they purchased the car. Contact us to arrange a vehicle inspection prior to your purchase.